By Keith Cowing on October 31, 2018 12:49 PM. "Hawaii's supreme court has ruled in favour of building the Thirty Meter Telescope (TMT) atop the mountain Mauna Kea. The decision removes the last legal hurdle preventing the US$1.4-billion project from resuming construction on Hawaii's Big Island. "It is a tremendously important and significant decision that provides secure legal grounds to restart construction of this transformative facility," says Michael Balogh, an astronomer at the University of Waterloo in Canada who chairs an advisory committee that represents Canadian astronomers' interests in the TMT." By Keith Cowing on October 30, 2018 11:05 PM. "It's not that Culberson doesn't care about water. He does. But most of the time, he seems to care a bit more about the water on Europa, an icy moon orbiting Jupiter, than he does the water in the Addicks and Barker dams. Or in our bayous. Or in our homes. Culberson has expended untold political capital trying to force NASA to send probes to Europa in search of alien life. That's an admirable scientific mission, even if some planetary researchers think the limited resources could be better spent. Here on Earth, Houstonians can rest assured that Fletcher will prioritize human life over the extraterrestrial. That includes life-saving flooding policies that emphasize prevention over costly recovery." Keith's note: Rep. Culberson has been a tireless champion of the exploration of Europa, Astrobiology, SETI, and interstellar exploration. If the House flips Rep. Culberson will lose his House Appropriations Subcommittee on Commerce, Justice, Science, and Related Agencies chairmanship. With that will go his overt advocacy and the ability to use that advocacy as chair to push things through the appropriations process. Rep. José Serrano, New York is the ranking member of the subcommittee and is poised to take over as chair. Serrano is not known for any overt support for these things - and he is certainly not the active advocate that Culberson has been. Elections have consequences. Meanwhile, a PAC supporting Culberson's opponent is running a goofy ad that dumps on him for supporting space science at NASA - some of which studies climate change. Based on this ad Culberson's opponent is apparently against funding NASA. This is an odd stance to take in an area where NASA is a major economic force. By Keith Cowing on October 30, 2018 5:57 PM. "After nine years in deep space collecting data that indicate our sky to be filled with billions of hidden planets - more planets even than stars - NASA's Kepler space telescope has run out of fuel needed for further science operations. NASA has decided to retire the spacecraft within its current, safe orbit, away from Earth. Kepler leaves a legacy of more than 2,600 planet discoveries from outside our solar system, many of which could be promising places for life." By Keith Cowing on October 30, 2018 11:07 AM. By Keith Cowing on October 29, 2018 11:55 PM. "Gender-Specific Language (e.g., Manned Space Program vs. Human Space Program): In general, all references to the space program should be non-gender-specific (e.g., human, piloted, unpiloted, robotic, as opposed to manned or unmanned). The exception to the rule is when referring to the Manned Spaceflight Center (also known as the Manned Spacecraft Center), the predecessor of Johnson Space Center in Houston, or to any other historical program name or official title that included "manned" (e.g., Associate Administrator for Manned Spaceflight)." By Keith Cowing on October 29, 2018 7:15 PM. "We here inside the program tend not to think about the need to advocate," Precourt said. "There are a lot of people with other ideas about how we should do this mission, so I think it's incumbent on us. It's not too early to be thinking about the transition from development to production. And that means a totally different management philosophy and cost structure for all of us." Precourt said contractors should consider a future in which NASA's present multibillion expenditures on rocket development costs need to be cut in half in order for the SLS vehicle to have a robust future. "All of us need to be thinking about [how] our annual budget for this will not be what it is in development," he said. "That's a very serious problem that we have to look forward to, and to try to rectify, so that we are sustainable." If the other speakers had thoughts about Precourt's comments, they did not share them during the ensuing discussion." By Keith Cowing on October 28, 2018 1:57 PM. By Marc Boucher on October 26, 2018 11:36 AM. "Today at Long Beach Airport stands a 747 aircraft with a rocket under its wing. For the first time ever, Virgin Orbit's LauncherOne rocket has been integrated with its carrier aircraft, marking a major milestone on the path to the innovative small satellite launch service's first space shot. The successful operation capped off a banner day of firsts on Wednesday for the company at its Long Beach, Calif. base." Marc's note: As NASA has a contract with Virgin Orbit this is good news. There soon should be another option to launch small satellites. By Marc Boucher on October 26, 2018 10:03 AM. "The vast personal collection of Neil Armstrong, who as the first man to walk on the moon changed the course of human history, will be presented in a series of auctions beginning November 1-2, 2018 by Heritage Auctions. 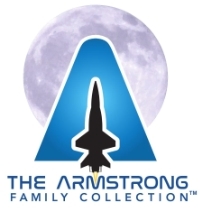 The Armstrong Family CollectionTM will offer never-before-seen artifacts from his momentous lunar landing to private mementos -- including pieces of a wing and propeller from the 1903 Wright Brothers flight that Armstrong took with him to the moon, a gold pin from Gemini VIII, Armstrong's first mission, and historic correspondence about the planning that went into the moon mission. The auctions will coincide with the 50th anniversary of the historic Apollo 11 mission." By Marc Boucher on October 25, 2018 6:58 AM. "On Thursday, October 25, at 0315 hours Moscow time, the State Space Test Center Plesetsk in the Arkhangelsk Region was successfully launched by the Soyuz-2.1b medium-class launch vehicle with a spacecraft in the interests of the Russian Defense Ministry." By Keith Cowing on October 23, 2018 4:22 PM. "Vice President Mike Pence is confirmed to speak at The Washington Post on October 23 as part of a "Transformers: Space" event. Pence, who serves as chairman of the National Space Council, will talk one-on-one with National Political Reporter Robert Costa about the Trump administration's plan to establish a Space Force as the sixth branch of the U.S. military and other important space policy matters."
. @POTUS has rightly called for the creation of a 6th branch of the Armed Forces to advance US dominance in space. #SpaceForce is an idea whose time has come. On 10/23, the National Space Council will meet @NDU_EDU to discuss progress made & next steps to implement POTUS' vision. -- Forming a United States Space Command to control our space forces and develop the tactics, techniques, and procedures for military space operations. -- Establishing the Space Force as a separate and distinct branch of the military whose mission will be to organize, train, and equip combat space forces. -- Calling on Congress to authorize the establishment of a Space Force and provide funding for the United States Space Command. -- Launching a joint review by the National Space Council and National Security Council of existing space operational authorities for meeting national security objectives, informed by DOD's assessment of the authorities required. -- Creating a Space Development Agency to ensure Americans in the Space Force have cutting-edge warfighting capabilities. -- Creating collaborative mechanisms with the Intelligence Community to improve unity of efforts for the development of space capabilities and operations." By Keith Cowing on October 22, 2018 6:08 PM. "NASA took great strides last week to press into service a Hubble Space Telescope backup gyroscope (gyro) that was incorrectly returning extremely high rotation rates. The backup gyro was turned on after the spacecraft entered safe mode due to a failed gyro on Friday, Oct. 5. The rotation rates produced by the backup gyro have since reduced and are now within an expected range. Additional tests will be performed to ensure Hubble can return to science operations with this gyro." By Keith Cowing on October 22, 2018 12:29 PM. "The decision to end the shuttle program came in 2004 as President George W. Bush's administration shifted its focus to frontiers beyond Earth's orbit. But with too few coins to divvy up amongst its many projects and a lack of political direction, the history-making agency instead has been forced to change course virtually every four years as political winds change. "NASA's budget and policy seem to be based on Twitter," said Keith Cowing, editor of NASA Watch, a website devoted to space news. "It's like, 'How can I come up with something in 280 characters?' We can't think long term. We can't think multi-administrations." That leaves space agency leaders wondering what will happen after the 2020 election. President Donald Trump has pushed to bolster human exploration -- with an eye toward the moon and then onto Mars -- but what happens if he isn't re-elected is anyone's guess. Policy fluctuations "can be difficult to weather," Mark Geyer, director of NASA's Johnson Space Center in Houston, previously told the Houston Chronicle. "It can cause fluctuations in the space program and that's hard if you're trying to move the country forward. But that's life, so you need to develop strategies to navigate that." Can Sanctioned Roscosmos Chief Rogozin Visit The U.S.? By Keith Cowing on October 21, 2018 7:59 PM. "The White House has temporarily lifted an entry ban imposed on the head of Russia's federal space agency to allow him to visit the United States, the head of NASA has said in an interview with Russian media. The U.S. banned entry to and froze the assets of ex-Deputy Prime Minister Dmitry Rogozin, along with other officials it blames for Moscow's seizure of the Crimean peninsula in March 2014. Rogozin, 54, oversaw Russia's powerful arms industry before he was appointed to head the Roscosmos state space agency earlier this year. Rogozin will now be able to travel to the U.S. under a workaround that removes the sanctions for the duration of his visit, NASA administrator Jim Bridenstine told the state-run TASS news agency Friday." "ROGOZIN, Dmitry Olegovich (a.k.a. ROGOZIN, Dmitriy; a.k.a. ROGOZIN, Dmitry); DOB 21 Dec 1963; POB Moscow, Russia; Deputy Prime Minister of the Russian Federation (individual) [UKRAINE2]." "I hereby find that the unrestricted immigrant and nonimmigrant entry into the United States of aliens determined to meet one or more of the criteria in subsection 1(a) of this order would be detrimental to the interests of the United States, and I hereby suspend entry into the United States, as immigrants or nonimmigrants, of such persons." Is NASA Leading A Shift In Administration Climate Change Views? By Keith Cowing on October 19, 2018 12:14 PM. "Koren: The United Nations recently released a troubling new report on climate change that outlined some of the devastating effects the planet should expect to see in the coming years. You've said before that you believe rising temperatures can be attributed to human activity. But many of your fellow Republicans in Congress and the White House dismissed the news. Where do you stand on the report? Bridenstine: I have no reason to dismiss the report at all. nasa is one agency on the planet that does more to inform the world on how the climate is changing than any other agency, and we're going to continue to do that. Bridenstine: My role is to deliver dispassionate science and allow policy makers to have these debates about it. Look, if I start engaging in what to do about the science that we receive, then it politicizes what nasa is all about, and we don't want to do that. All we're going to do is study the planet and make sure that all of that data and all of that science is made available to the public." "President Donald Trump has said he doesn't believe that climate change is a hoax -- but added Sunday night that "it'll change back again." In the wake of a report from the global scientific authority on climate change warning that governments around the world must take "rapid, far-reaching and unprecedented changes in all aspects of society" to avoid disastrous levels of global warming, Trump was asked for his views on climate change during an interview on CBS's "60 Minutes." Trump replied: "I think something's happening. Something's changing and it'll change back again. I don't think it's a hoax, I think there's probably a difference. But I don't know that it's man-made." By Keith Cowing on October 18, 2018 3:38 PM. "Russia's space corporation Roscosmos will carry out three unmanned launches by the end of the year before the next manned mission will be put in space, Roscosmos's executive director for manned space programs, Sergei Krikalyov, told a news conference on Wednesday. "The Soyuz rocket will be launched only after the inquiry has identified the causes of the emergency and measures have been taken to prevent such situations in the future. Under the existing rules there must be at least one unmanned launch before the flight of a manned spacecraft. We have plans for at least three launches (before the next manned mission due in early December) from the Kourou space site, the launch of an unmanned spacecraft and of an unmanned spacecraft Progress. The confirmations will be more than enough to put the next crew in space," Krikalyov said." By Keith Cowing on October 17, 2018 5:46 PM. By Keith Cowing on October 17, 2018 1:47 PM. As I said, I am happy to fix any specific inaccuracy. You have not pointed one out. By Keith Cowing on October 17, 2018 11:59 AM. Keith's note: Great commercial space news. RocketLab is coming to NASA Wallops in Virginia to do commercial space launches. You'd think that all parties involved would want as much media present as possible - especially Virginia-based space media (like NASAWatch). Guess again. I first learned about this event, held on a NASA facility, staffed by NASA personnel, announced after it was underway on social media and broadcast on a NASA TV channel when I saw mention of it on Twitter. NASA Wallops PAO sent me nothing in advance. I caught the tail end of the webcast and discovered that there was also a phone bridge for media who are offsite to dial in to ask questions. No one at NASA Wallops PAO told me about that either. This is not the first time Wallops PAO has played this sort of games with me. I have sent an email to NASA PAO and Wallops personnel asking why NASAWatch was excluded from the advance notice and access provided to other news media. Until/unless I get a response (normally I get no response from Wallops) I am torn with ascribing this to incompetence - or spite- on Wallops' part given that this happens to me with some regularity. Although I had no advance notice of this event, this is the question that popped into my head for RocketLab: "You are going to be doing a lot of launches at Wallops - and they do a lot of suborbital launches for student projects. Is your company looking to work with NASA and M.A.R.S. to provide additional opportunities for students and interns in Virginia to learn about space?". By Keith Cowing on October 15, 2018 9:05 PM. I did not know Paul Allen personally, but I enthusiastically followed the Ansari X-Prize in 2004 and stood on the wing of Stratolaunch in 2015. His vision continues by the many people he inspired. My prayers are with his family. By Keith Cowing on October 15, 2018 5:31 PM. Keith's note: You all may be familiar with Serkan Golge, a NASA JSC employee who has been imprisoned in Turkey for bogus reasons for a long time. A NASAWatch reader noticed that someone at NASA is using the agency's Internet access to make changes to Golge's Wikipedia page - apparently in an effort to diminish his role at NASA. Golge was a full-time contractor with an office next to the MCC. But if you look at the edits it would seem that someone who wanted to minimize his role changed his page to say "working on projects." instead. There were two edits originating from 156.68.64.53 on 4 September 2018. Have a look at the before and after edits here. And another one here. NASA's CIO Office is mostly useless. Let's see if they look into this. They should. I sent an email to NASA HQ and MSFC CIO offices and NASA HQ PAO. Lets see if they respond. By Keith Cowing on October 15, 2018 1:58 PM. "Branson said he was suspending his work as a director of two Saudi tourism projects and suspending discussions with the kingdom's sovereign wealth fund about a proposed investment in the space companies Virgin Galactic and Virgin Orbit. "I had high hopes for the current government in the Kingdom of Saudi Arabia and its leader Crown Prince Mohammed bin Salman and it is why I was delighted to accept two directorships in the tourism projects around the Red Sea," Branson said in a blog post Thursday. "What has reportedly happened in Turkey around the disappearance of journalist Jamal Khashoggi, if proved true, would clearly change the ability of any of us in the West to do business with the Saudi Government." By Keith Cowing on October 12, 2018 4:12 PM. "I have read the audit through twice and talked to Boeing executives about its findings. 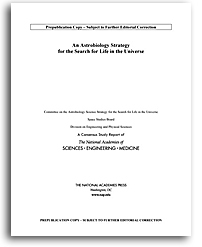 It appears to be a political document engineered by a holdover appointee from the Obama administration -- the same administration that tried to kill all of NASA's human exploration programs. It omits important information, misstates key facts and isn't even internally consistent in its assertions. ... First, the audit fails to provide historical context that might help explain why problems have occurred. This is only the second time in history that any country has tried to develop such a powerful rocket. The first time was the Saturn V program for Apollo missions to the Moon, half a century ago. With the demise of the Space Shuttle program, key skills were lost, infrastructure aged and the supply chain atrophied. NASA understood there were major challenges ahead, but the Inspector General is mum on their impact." Keith's note: The core thrust of Thompson's paid whining is either Blame Obama or its so hard to build a big rocket (even though companies that Boeing bought did it half a century ago). By Keith Cowing on October 12, 2018 2:05 PM. By Keith Cowing on October 12, 2018 1:26 PM. By Keith Cowing on October 12, 2018 1:06 PM. "The following is a statement from NASA Administrator Jim Bridenstine about the Senate confirmation of James Morhard as the agency's deputy administrator: "Congratulations to Jim Morhard! He was confirmed as the 14th Deputy Administrator of NASA on Thursday, Oct. 11. "He joins our amazing agency at a crucial time in history. NASA is celebrating its 60th anniversary this year, and I look forward to working with him as we look towards NASA's next 60 years. His legislative and managerial talents will serve NASA well as we accomplish stunning achievements." By Keith Cowing on October 12, 2018 8:20 AM. "The Soyuz MS-10 spacecraft launched from the Baikonur Cosmodrome in Kazakhstan to the International Space Station at 4:40 a.m. EDT Thursday, Oct. 11 (2:40 p.m. in Baikonur) carrying American astronaut Nick Hague and Russian cosmonaut Alexey Ovchinin. Shortly after launch, there was an anomaly with the booster and the launch ascent was aborted, resulting in a ballistic landing of the spacecraft. "Search and rescue teams were deployed to the landing site. Hague and Ovchinin are out of the capsule and are reported to be in good condition. They will be transported to the Gagarin Cosmonaut Training Center in Star City, Russia outside of Moscow." By Keith Cowing on October 10, 2018 5:43 PM. "The U.S. Air Force announced today the award of three Evolved Expendable Launch Vehicle (EELV) Launch Service Agreements to (in alphabetical order) Blue Origin, Northrop Grumman Innovation Systems, and United Launch Alliance. The award to Blue Origin will be for development of the New Glenn Launch System. The award to Northrop Grumman Innovation Systems is for development of the OmegA Launch System. The award to United Launch Alliance will be for development of the Vulcan Centaur Launch System." By Keith Cowing on October 10, 2018 10:19 AM. "At its current rate, we project Boeing will expend at least $8.9 billion through 2021--double the amount initially planned--while delivery of the first Core Stage has slipped 2 1/2 years from June 2017 to December 2019 and may slip further. Between June 2014 and August 2018, Boeing spent over $600 million more than planned on developing Core Stages 1 and 2, and NASA officials have confirmed that in FY 2018 alone Boeing expended $226 million more than planned. Cost increases and schedule delays of Core Stage development can be traced largely to management, technical, and infrastructure issues driven by Boeing's poor performance. For example, Boeing officials have consistently underestimated the scope of the work to be performed and thus the size and skills of the workforce required. In addition, development of command and control hardware and software necessary for Core Stage testing is 2 years behind schedule, while equipment-related mishaps and an extreme weather event contributed to cost and schedule delays. Individually, each of these issues may have caused only minor cost and schedule problems, but taken as a whole they have resulted in a 2 1/2-year slip to the SLS Core Stage delivery schedule and approximately $4 billion in cost increases for development of the first two Core Stages. Furthermore, Boeing's cost and schedule challenges are likely to worsen given that the SLS has yet to undergo its "Green Run Test"--a major milestone that integrates and tests the Core Stage components. Based on Boeing's current expenditure rate, NASA will need to increase the contract value by approximately $800 million to complete the first Core Stage for delivery to the Kennedy Space Center in December 2019. If the EM-1 launch takes place in June 2020, more than $400 million--for a total of $1.2 billion--would need to be added to the contract. This amount would only ensure delivery of Core Stage 1 and would not include the billions more required to complete work on Core Stage 2 and the EUS. Consequently, in light of the Project's development delays, we have concluded NASA will be unable to meet its EM-1 launch window currently scheduled between December 2019 and June 2020. We found that several poor contract management practices by NASA contributed to the SLS Program's cost and schedule overruns. ..."
By Keith Cowing on October 10, 2018 10:08 AM. Given the global aspirations of this competition you would expect NASA to use its global brand i.e. @NASA and NASA.gov. But there is no mention. Nor is there any mention on the NASA STEM Engagement page or the NASA Commercial crew page. Otherwise, that's it. 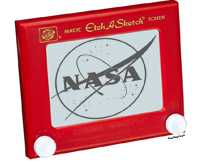 If this was truly an agency-wide effort with a stated intent of reaching children around the world, you would think that the agency would have put a little more effort into utilizing its global branding - unless the agency is not synchronized in such a fashion as to coordinate activities such as this one to make the best use of NASA assets. But why is the NASA Commercial Crew Office doing NASA education activities specifically targeted at students? Who is in charge of this? Is there an overall, agency-level NASA Education and Outreach plan that specifically calls for the agency's commercial programs to target "children aged 4-12 - around the world"? Of course there isn't. The White House tried to gut NASA education funding - one of the main points being that this education stuff was already being done elsewhere - so why is NASA trying to reach beyond the nation's borders? Maybe a little more of a domestic focus is what this White House is thinking about. Since there will be effort required to set up and collect the artwork, someone is going to have to pay labor costs. If a calendar is produced, then someone will have to be paid to do that. And if it is printed and distributed that will cost something too. Is this really what NASA's Commercial Crew Office should be doing right now? Yes, its probably a trivial amount of money in the overall grand scheme of things. But this speaks to a broader lack of simple strategic thought on NASA's part. If the educational needs of children are really what is of concern, aren't there more focused products that stand a better chance of educating children than a glorified coloring book? By Keith Cowing on October 9, 2018 10:15 AM. "Col. Richard Alan Searfoss of Bear Valley Springs, 62, passed away at home on Saturday, Sept. 29, 2018. Funeral services will be held Friday, Oct. 12, 2018, at 2 p.m., preceded by a viewing at 12:30 p.m., at The Church of Jesus Christ of Latter-day Saints, 600 Anita Drive, Tehachapi, CA. A full obituary will be in next week's edition of the Tehachapi News." Keith's note: I got to know Rick after he left NASA. We had lots of phone conversations about commercial space. We were almost exactly the same age so we tended to make similar popular cultural jokes. He was really psyched about the notion of training people to fly on XCOR by strapping them into a fighter jet and putting them trough a "Right Stuff" sort of training program - orange flight suits and all - and that the suborbital fight would be more of the same - just higher and faster. He figured this might weed a few customers out but that the ones who made it through would have had one helluva ride. I tried to convince him to expand the ground school such that more people could get a taste of the ultimate experience. Eventually he'd end our long conversations with something like "well it's starting to snow up here in Tehachapi - gotta go." Ad Astra Rick. By Keith Cowing on October 8, 2018 4:05 PM. "The gyro that failed had been exhibiting end-of-life behavior for approximately a year, and its failure was not unexpected; two other gyros of the same type had already failed. The remaining three gyros available for use are technically enhanced and therefore expected to have significantly longer operational lives. Two of those enhanced gyros are currently running. Upon powering on the third enhanced gyro that had been held in reserve, analysis of spacecraft telemetry indicated that it was not performing at the level required for operations. As a result, Hubble remains in safe mode. Staff at NASA's Goddard Space Flight Center and the Space Telescope Science Institute are currently performing analyses and tests to determine what options are available to recover the gyro to operational performance." Keith's 7 October note: According to these tweets from Dr. Rachel Osten, Deputy Mission Head for the Hubble Space Telescope at the Space Telescope Science Institute, the Hubble Space Telescope is in Safe Mode after a gyroscope failure. No word from NASA PAO yet. Keith's 8 October 9:21 am EDT update: According to According to this update: "Daily Report #8120 Period Covered: 08:00 PM October 06, 2018 - 07:59 PM October 07, 2018 (DOY 280/0000z - 280/2359z) There were no scheduled observations during the report period." Not really scary, we knew it was coming. The gyro lasted about six months longer than we thought it would (almost pulled the plug on it back in the spring). We'll work through the issues and be back. And it's really the brilliant people @NASAGoddard who are now staffing the flight ops 24/7, and working the anomalous gyro behavior. By Keith Cowing on October 4, 2018 8:17 PM. "Administrator Bridenstine arrived in Bremen, Germany on Sunday, September 30 to attend the International Astronautical Congress (IAC) and meet with a number of space agency leaders. On Sunday evening, he made brief remarks on the U.S. Exploration Campaign to visiting members of parliament from around the world hosted by the Bremen Regional Parliament. Later, he hosted a reception for his space agency counterparts. Invitees, among others, included representatives of twenty-two space agencies. On Monday, October 1, Bridenstine met with Administrator Zhang Kejian, of the China National Space Administration (CNSA). This was the first meeting of the two leaders and it provided an opportunity to share their respective program priorities including plans for lunar exploration." By Keith Cowing on October 4, 2018 10:53 AM. Keith's update: Dave Mosher at Business Insider is now on the trail of Boeing's stealth smear campaign against SpaceX. "Hagar said he never submitted the op-ed article to The Washington Times. He said he shared his written opinion with only one person, a Boeing employee, whom he repeatedly declined to identify. "I don't want to start anything," Hagar said. "I'm not interested in that." Shortly after Hagar gave his op-ed article to Boeing, he said, it appeared in The Washington Times. He said he gave Boeing "permission to publish it wherever." "I knew it would be in different publications, but not how many," he said." "According to the LMG website, the 15-year-old firm "develops and executes public-, Hill-, and agency-facing issue advocacy campaigns that shift the narrative in a changing world." More bluntly, the SourceWatch website calls LMG a "secretive Washington DC public affairs firm" with a history of placing op-eds, and it seeks to mask the op-eds' financial sponsors. Ars could not confirm the ultimate sponsor of the op-eds, but there are some potentially pertinent facts. For one, Boeing is touted on the LMG website as a client, and it is listed as one of LMG's three main "featured narratives" on its homepage. (LMG says, as part of its campaign for a Boeing tanker plane, that it "developed and executed an aggressive 'outside game' campaign working with dozens of major grassroots organizations, labor unions, suppliers and vendors and national security experts to make the case for Boeing's bid. We developed messaging... and helped manage a newly developed social media campaign amplifying our nationwide chorus of genuine American voices supporting Boeing.") Boeing, which is not mentioned in the op-eds, is also the only competitor to SpaceX in the commercial crew program. Could Boeing be the client behind the anti-SpaceX op-eds? A spokesman for Boeing, Jerry Drelling, told Ars, "We have no comment." Keith's note: This is creepy. What is Boeing up to? As noted above, a firm overtly linked to them is connected to an anti-SpaceX editorial campaign. Boeing has deep pockets when it comes to PR. They have poured a lot of money into a weekly space news letter with Politico. Boeing is also prominently featured in a space-related event with Vice President Pence here in Washington, DC later this month. And of course they send lots of money to the overtly pro-SLS organization Coalition for Deep Space Exploration. Meanwhile Boeing has an ongoing social media campaign on Facebook which entices people to sign up for a newsletter - one that as an obscure but lengthy terms of service that reserves the right for Boeing to collect, use, and resell information about people who sign up. They use space as a topic to entice people to sign up but then route you to pages that urge you to support a lobbying effort for a weapon system they want Congress to buy. Again, what is Boeing up to? The op-ed effort exposed by Eric Berger is eerily similar to another stealth smear effort that NASAWatch exposed back in 2016 wherein a DC PR firm (Orange Hat Group) was linked to a website designed to attack Elon Musk and SpaceX (See "Why Does Brad Summey Hate On Elon Musk So Much?". To this day I am not certain who footed the bill since no one would comment. The website they created, whoiselonmusk.com, was still online until September when the domain registration expired. Remnants of the site are online here. Shortly after I outed this site this was added to the bottom of the page "The Center for Business and Responsible Government (CBRG) is a non-partisan organization dedicated to highlighting cronyism and its effect on American taxpayers and policy. We believe public officials should establish an even playing field for all businesses to compete in the marketplace, not just those special interests who line their pockets." Of course this organization does not exist and never did. This is how big aerospace and other actors try and undermine the competition these days.If they can't compete with a better product at a better price they head for the gutter instead. What is pathetic is how badly they try and hide their tracks such that any enterprising journalist can use Google searches and make a few phone calls to reveal the true nature of these smear efforts. Everyone Is Going Back To The Moon. But Mars? Not So Much. By Keith Cowing on October 3, 2018 4:29 PM. "Today, at the International Astronautical Congress (IAC) in Bremen, Germany, Lockheed Martin experts revealed the company's crewed lunar lander concept and showed how the reusable lander aligns with NASA's lunar Gateway and future Mars missions." "Moving heavy industry from Earth into space is at the core of Blue Origin's mission. The future will be better for our children - and our children's children - if we use space to benefit life on Earth and enable millions of people to live and work in space. The next logical step in this path is a return to the Moon. To do this we need reusable access to the lunar surface and its resources. We're in the conceptual design phase of a large lunar lander that will provide that access called Blue Moon." "Dmitry Rogozin, director general of Russia's Roscosmos State Space Corp. and the former deputy defense minister, said that the Russian and Chinese space programs were considering working jointly to establish a lunar station. As Russia prepares to meet its 2021 deadline for the country's first unmanned lunar mission, a growing relationship with China has presented new opportunities as Moscow's ties to the U.S. continue to worsen." "NASA has signed an agreement with the Israel Space Agency (ISA) to cooperatively utilize the Israeli nonprofit SpaceIL's commercial lunar mission, expected to land on the Moon in 2019." "Under the agreement, the CSA and Moon Express will explore the possibilities of using Moon Express lunar orbiter and lander systems for potential CSA payloads and will promote possibilities for collaboration between Moon Express and the Canadian space industry and academia." "During these events, NASA Administrator Jim Bridenstine will speak at the agency's Kennedy Space Center in Florida at noon EDT, spotlighting NASA's new Moon to Mars approach for human space exploration. He'll discuss the agency's plans to lead a sustainable return to the Moon, which includes the integration of U.S. companies and international partners, with the aim to use the Moon as a proving ground for the ultimate goal - sending astronauts to Mars." What Does Russia Want This Time? By Keith Cowing on October 3, 2018 9:33 AM. "On August 29, 2018 a small hole was discovered on the International Space Station. This resulted in a pressure leak. The hole has been identified and fixed by Space Station crew. 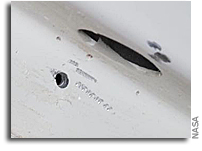 Russian media recently reported that General Director Rogozin said the hole was not a manufacturing defect. Ruling out a manufacturing defect indicates that this is an isolated issue which does not categorically affect future production. This conclusion does not necessarily mean the hole was created intentionally or with mal-intent. NASA and Roscosmos are both investigating the incident to determine the cause. The International Space Station Program is tentatively planning a spacewalk in November to gather more information. On October 11, American Astronaut Nick Hague and Russian Cosmonaut Alexey Ovchinin will launch to the International Space Station on a Russian Soyuz MS-10 spacecraft from the Baikonur Cosmodrome in Kazakhstan. Administrator Bridenstine is scheduled to attend the launch and plans to meet with Mr. Rogozin. This will be their first in-person meeting. They had a telephone call on September 12 during which they discussed the International Space Station leak." "SpaceX CEO Elon Musk quotes knock-down prices on launches of his spacecraft at 40-60 million US dollars to squeeze Russia out of the space market, CEO of Russia's state space corporation Roscosmos, Dmitry Rogozin, said on Monday. Russian expert slams Musk's use of booster relaunch as gimmick to show off to investors "If you compare the price Musk sells his rockets to Pentagon at and the price he quotes for them on the market, you will see that this is nothing but pure dumping. In order to drive Russia from the market he sells launches at 40 to 60 million dollars while being paid 150 million for a launch by Pentagon," he told Russia's TV Channel One." "Rogozin, who heads the Russian space agency Roskosmos, said in an interview on state-run television that an expert commission had wrapped up its initial findings. "The first commission has already concluded its work. It has factually reached the conclusion that rules out any manufacturing defect, which is important for finding out the truth," he said. "The version that now remains is it was a deliberate act, and a second commission will determine where this occurred," Rogozin added." Keith's note: Russia clearly wants something. So, true to form, they make conflicting statements to the media - some versions are aimed at domestic audiences, others are aimed at external audiences. The fact that U.S. astronauts are actually living on the same space station that they supposedly sabotaged and that they'd need to ride the damaged Soyuz home shows just how silly this whole thing is. To counter this non sequitur Roscosmos deflects attention away from the real underlying issues to the whole SpaceX conspiracy thing without noting that Russia continues to cut its own space budget and has limitations on its ability to compete in a rapidly evolving space sector. When Boeing and SpaceX start to launch U.S. crews to the ISS, a steady source of income for Soyuz flights will more or less evaporate with no obvious replacement customer in sight. But worry not, a solution to placate Russia's issues is always found. Its one of those 'two steps forward one step back' things. By Keith Cowing on October 2, 2018 8:35 AM. September 2018 is the previous archive.